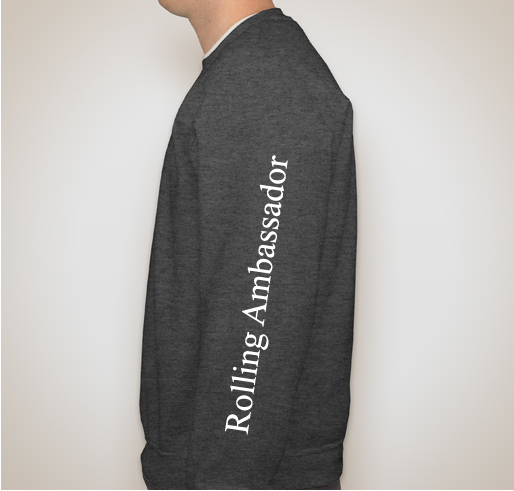 Purchase your Rolling Ambassador package today to receive a package valued at over $160 - details in the description below!! All funds raised will go directly to WREATHS ACROSS AMERICA . National nonprofit Wreaths Across America announces a new sponsorship opportunity – Rolling Ambassadors – available to professional truck drivers, bikers and all those whose living finds them traveling our nation’s highways. For an annual sponsorship fee of $125, a Wreaths Across America’s Rolling Ambassador will sponsor two Remembrance Wreaths and receive a sponsorship package valued at over $160. 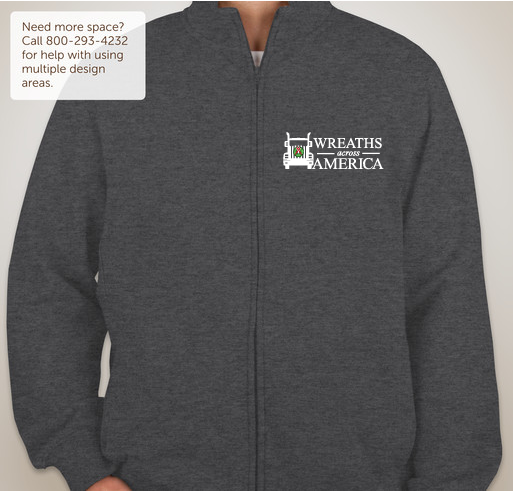 This package includes a Wreaths Across America sweatshirt, window cling, baseball cap and lapel pin. 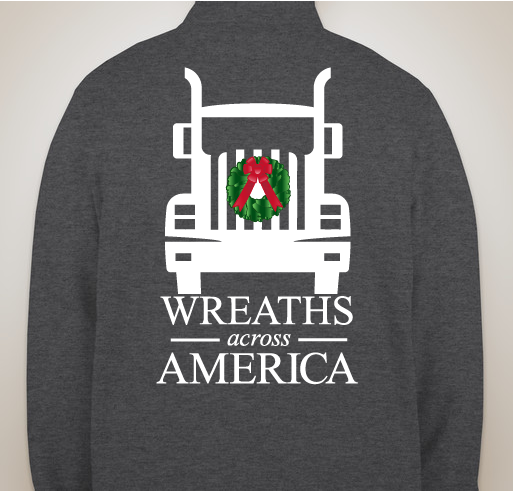 In addition, as a member of this important group of volunteers, your name will be added to a social media graphic highlighting this year’s Rolling Ambassadors during the week of the convoy of wreaths and you’ll receive a $25 coupon good toward the purchase of a Trucking Patriot Pair for your truck or personal vehicle. Most important, you become part of Wreaths Across America and the Rolling Ambassador’s mission to ensure no veterans are forgotten. - an honorable mention on Wreath Across America's Facebook page during convoy week! Each holiday season an "Honor Fleet" made up of volunteer drivers and donated equipment carry hundreds of truckloads of respect. These loads are filled with more than a million Remembrance Wreaths to be placed on veterans’ graves all over the country to thank them for their service and sacrifices made to protect our freedoms. By signing up to be a Rolling Ambassador, individual drivers can now help fill those trucks with Remembrance Wreaths. Wreaths Across America is a national 501(c)3 with over 1300+ participating locations nationwide, in all 50 states and 24 foreign veteran cemeteries on foreign soil. What began in 1992 with a trailer load of wreaths, placed by a handful of volunteers at the graves of our fallen at Arlington National Cemetery, has now become a national organization with over a million volunteers - all focused on the mission to Remember - Honor - and Teach about the service and sacrifice of our veterans. Wear your shirt with pride and help educate others about the mission to Remember, Honor, and Teach about the character of our veterans. Together we can show their families that we will never forget their service and sacrifices. My heart goes out to all Military who fight for our country. This is just a small way I can give back to all those who have lost family, so they can see their graves decorated knowing we have not forgotten. As a military spouse and growing up in a military family I think it's important to remember & honor our veterans & the fallen. I am making this donation in honor of my grandfather,Alvin Steinke, who served in the Korean war. My husband, Darrell Painter, is buried at Camp Butler cemetery in Springfield, Il. Last year at Christmas that cemetery was beautiful. My family was honored to have a wreath on his grave. What a tribute to all of our veterans. To honor my father who was in the Army and all the men and women who serve and protect our freedoms. May God bless each and everyone of them. Share Why You Support "2017 Wreaths Across America - Rolling Ambassadors Package"